Judo may mean ‘the gentle way’ and reflect a moral code which demands politeness, courage, self-control and respect, but the four minutes bouts (five for men) can be as physically demanding as boxing and wrestling. The sport is all about strength, speed and control whilst also possessing the mental agility to quickly spot and exploit your opponent’s weakness. GB’s Sarah Adlington. She took bronze at the 2011 US World Cup, beating Olympic bronze medallist Tea Donguzashvili in the final round. 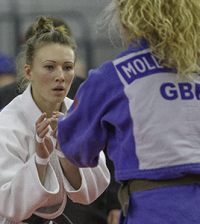 And she also won seven medals in 2010 including gold at the British Open Cup and bronze at the Korean World Cup. 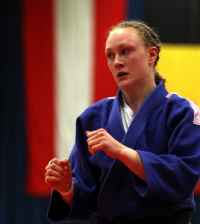 Japan is a huge judo nation, not surprisingly as the sport originates from the Japanese martial art Jujitsu and since 1972, when the sport became a firm fixture on the Olympic programme, Japan has dominated the medal table taking home a total of 65. Women’s judo in the Olympics wasn’t introduced to the Games until 1992 in Barcelona.